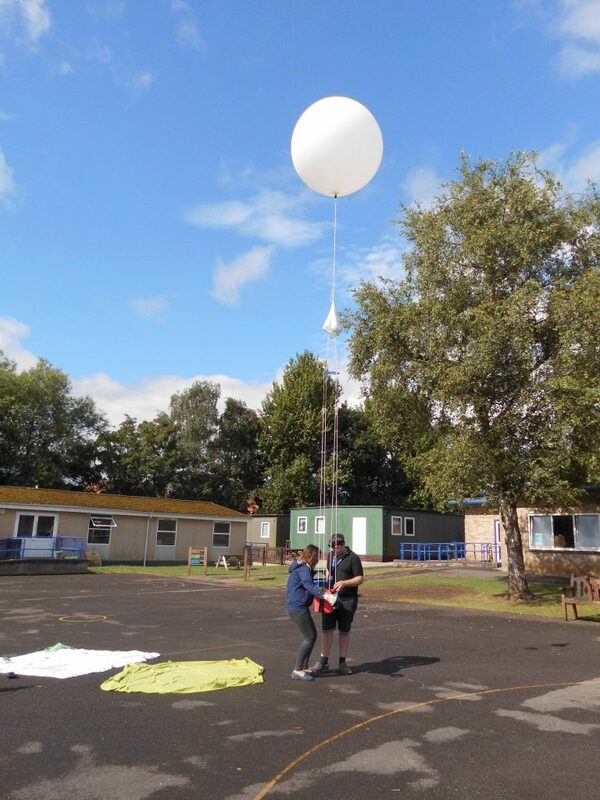 July 2017 Yewstock School release a weather balloon into near space. 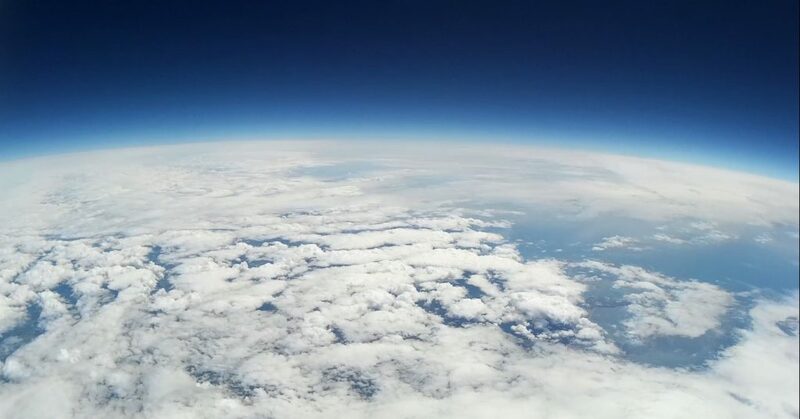 The balloon set sail for the stratosphere at about 10am in the morning, reaching its final height of about 100,000ft a couple of hours later. 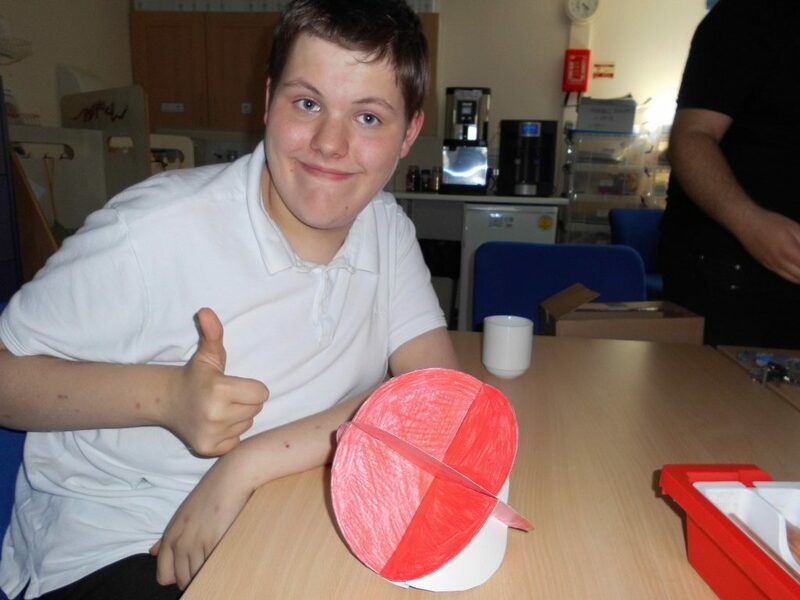 The weather balloon project was run as an after school club, lead by Jacques Steventon and supported by Georgia Vine. 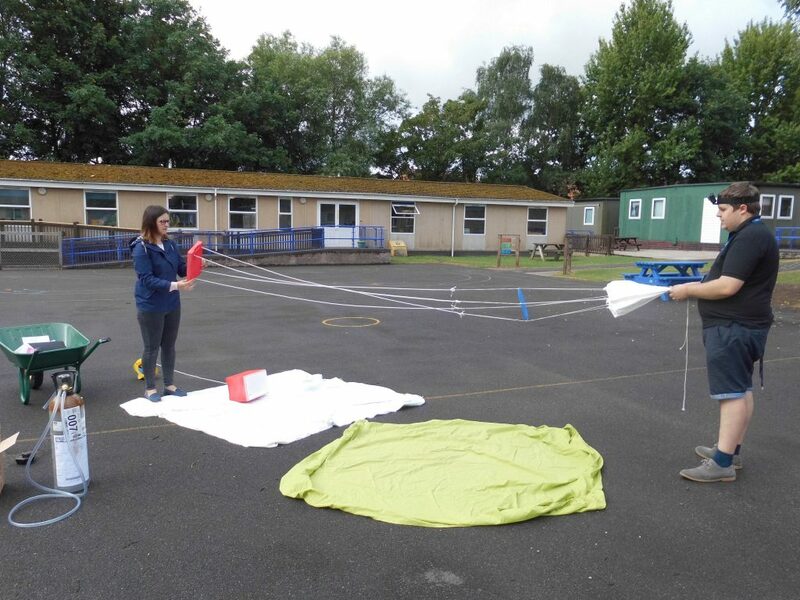 In after school clubs students made parachute systems and learned all about space. 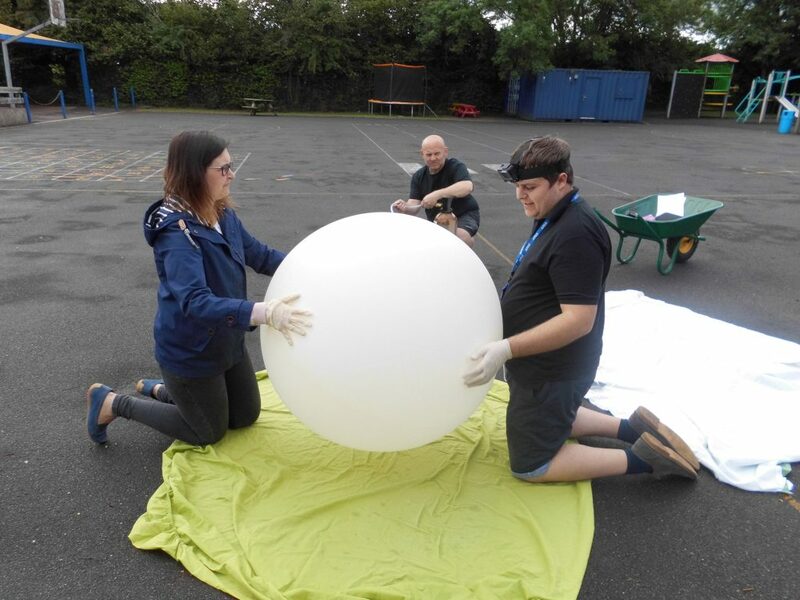 Students also learned about how weather balloons work and what type of gases to use within the balloon. 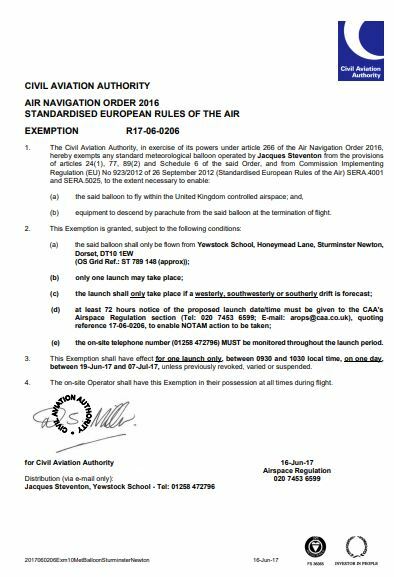 We gained permission by the CAA to launch the weather balloon. As long and the conditions were correct and that the weather balloon only drifted West or Southwesterly. This was difficult because for the time of year the wind drift wasn’t in our favour. 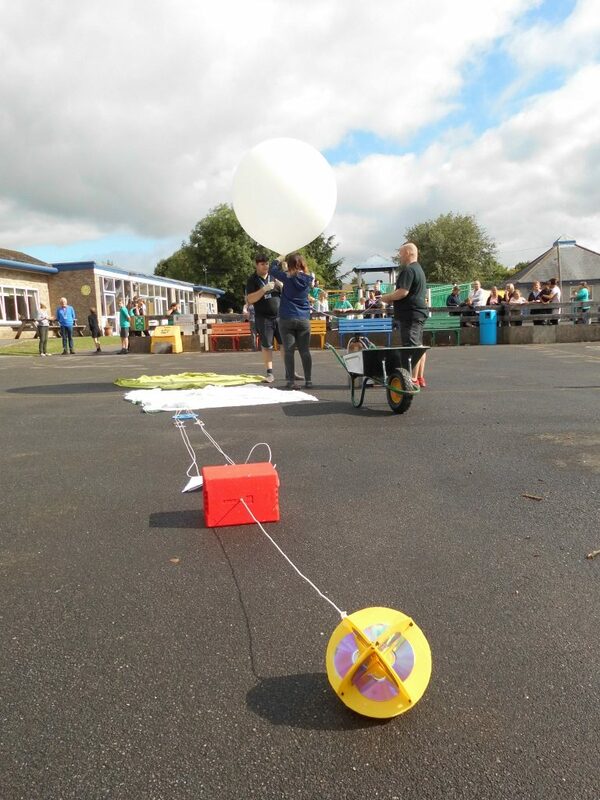 We used tracking software which allowed us to predict the route of which the balloon would take. This prediction, much like any forecast could change hourly. We found a day out for the short launch window we had to get everything prepared and ready to fly. Thing became even harder after we found what looked at the time like a good day. We needed to give the CAA at least 72 hours notice before flight. This meant we have to be 100% sure of our wind tracking calculations. 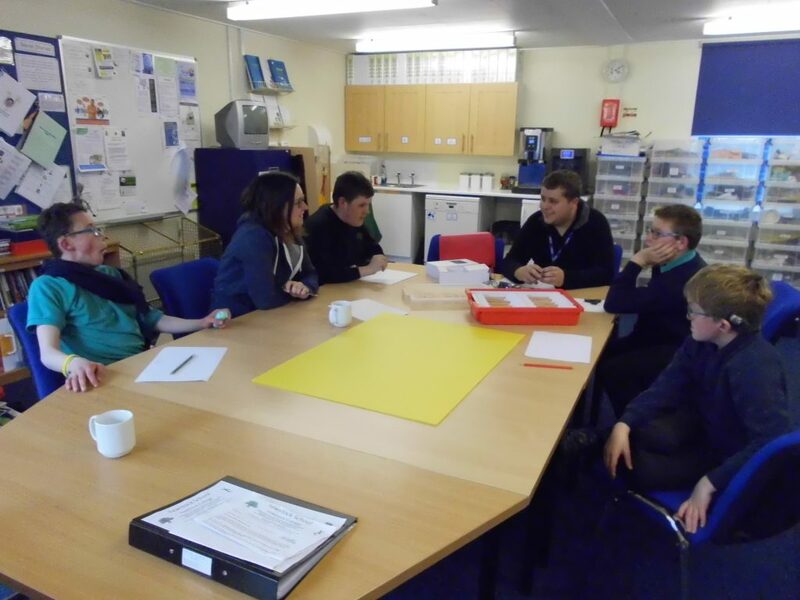 On the day of launch there was a lot of planning to do. We needed to make sure that the parachute would deploy, that GPS was working and that the camera was going to record what we wanted. 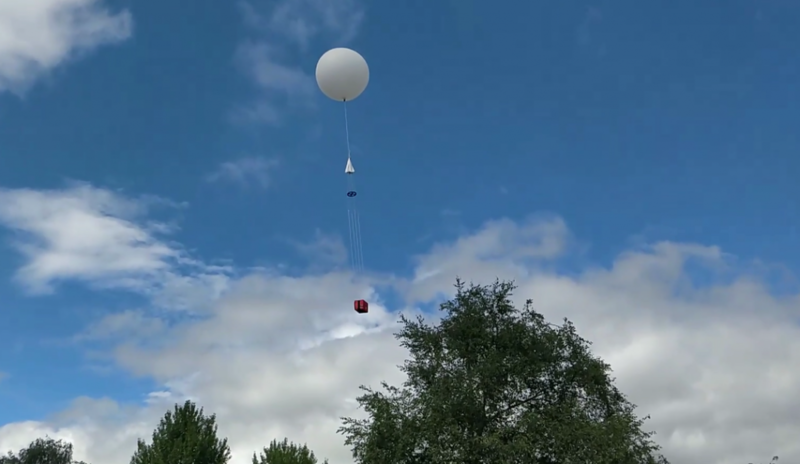 In the picture above you can see the lid of the payload has a parachute attached to it. This meant that when the balloon burst the parachute would deploy. You can also see the helium bottle on the bottom left. We started filling the weather balloon with helium. We had to wear special gloves because if we let the oil from our hands touch the balloon then due to it being so cold the balloon can burst as the oil freezes. The weather balloon was set to launch and by 10am we were ready. 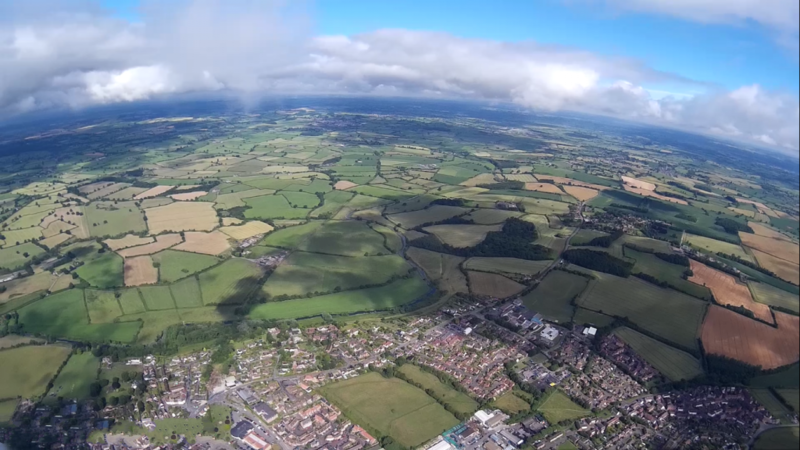 You can see in the picture above the school and college in Sturminster Newton. You can find the whole video release below.